Youssra el-Sharkawy is a professional journalist in The Egyptian Gazette, The only English-language Daily newspaper in the Middle East, which is published in Egypt. Also, she works as a playwright, theatre director, actress and a theatre critic in Masrahna, an Arabic-language weekly magazine, specialised in theatre. She founded an independent theatre troupe in 2006, to perform her own written plays and visions. Youssra participated in many theatre workshops and festivals in Egypt and abroad, including the Festival d’Avignon in France. 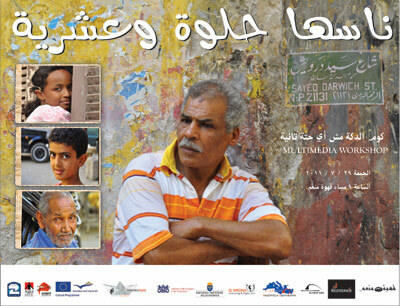 She has participated in the “street multimedia theatre workshop” in July 2011 in Alexandria.